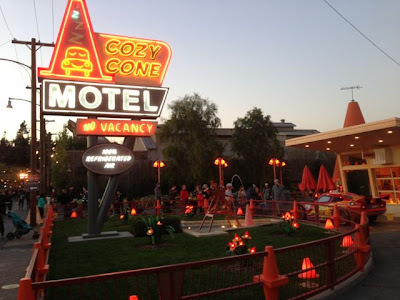 Lightning and Mater can be seen at the Cozy Cone, an awesome backdrop. And, as an added bonus, Mater and Lightning talk! 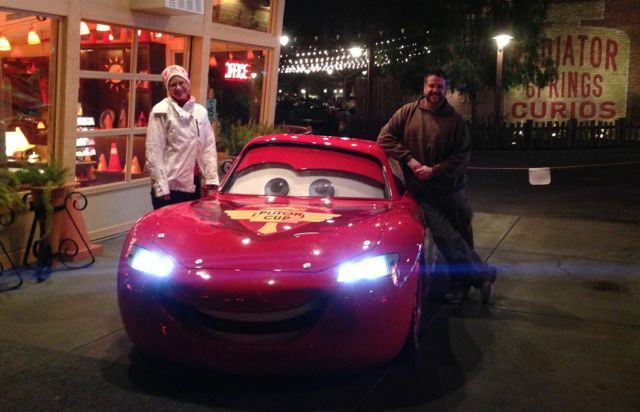 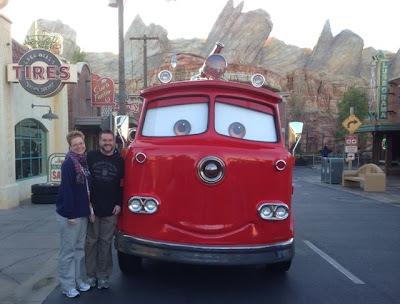 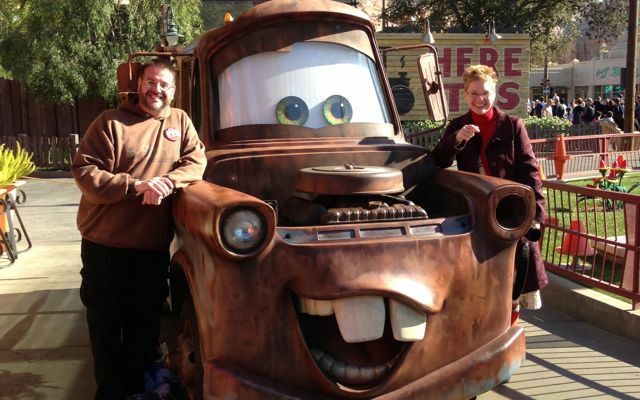 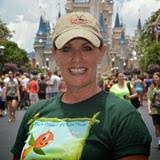 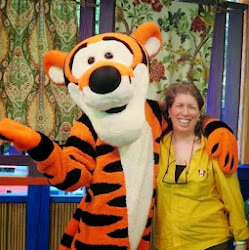 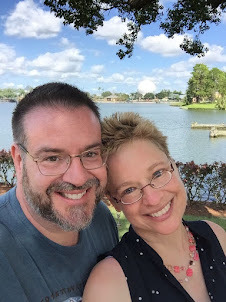 Here is a look at a meet up with Mater.